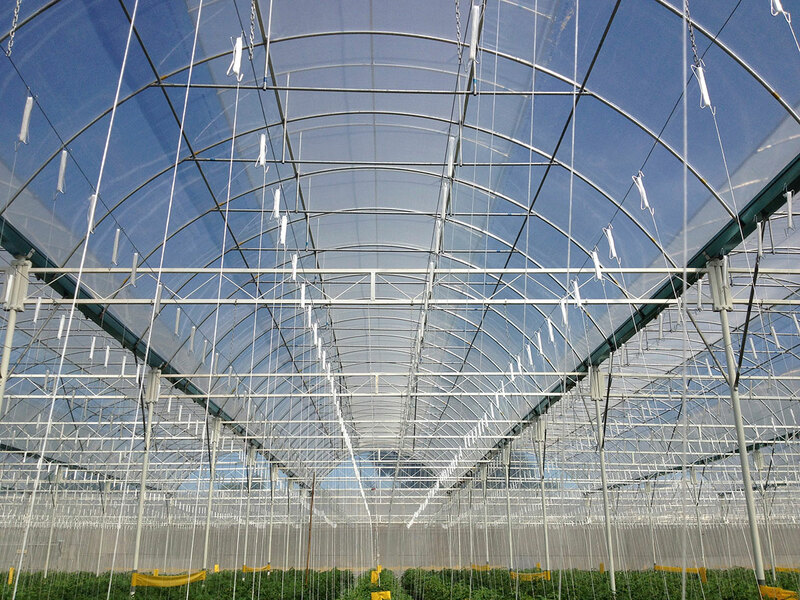 ‘Alma Greenhouse’ was designed together with the University of Wageningen (WUR) in the Netherlands. 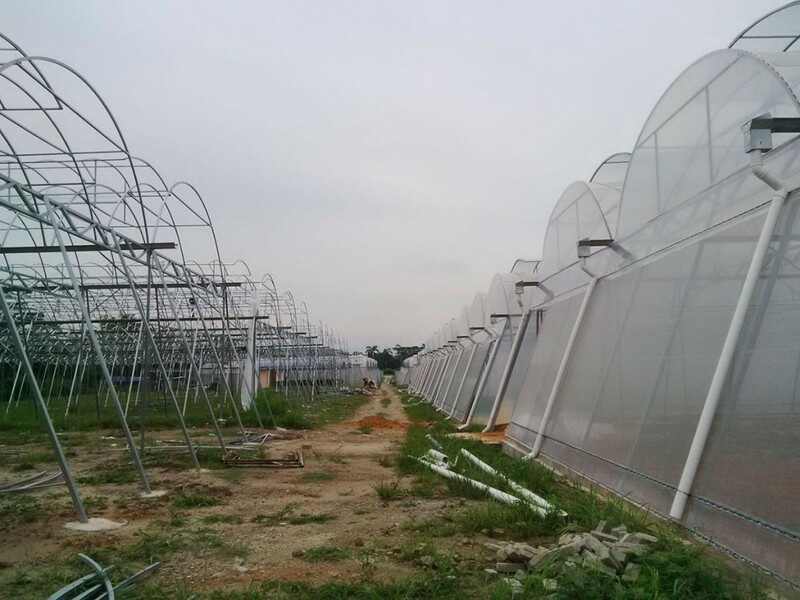 It is ‘the’ greenhouse for (sub)tropical Asia. 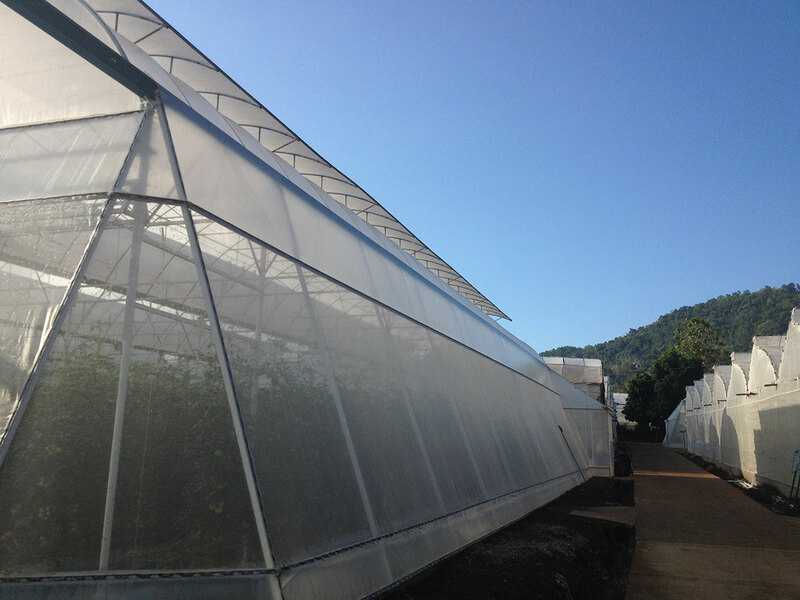 Thanks to the unique design features of the ‘Alma Greenhouse’, there is natural ventilation at all times, even when there is no wind. The result is a more active climate. An active climate means that there is a constant movement of air without ‘forced’ ventilation. 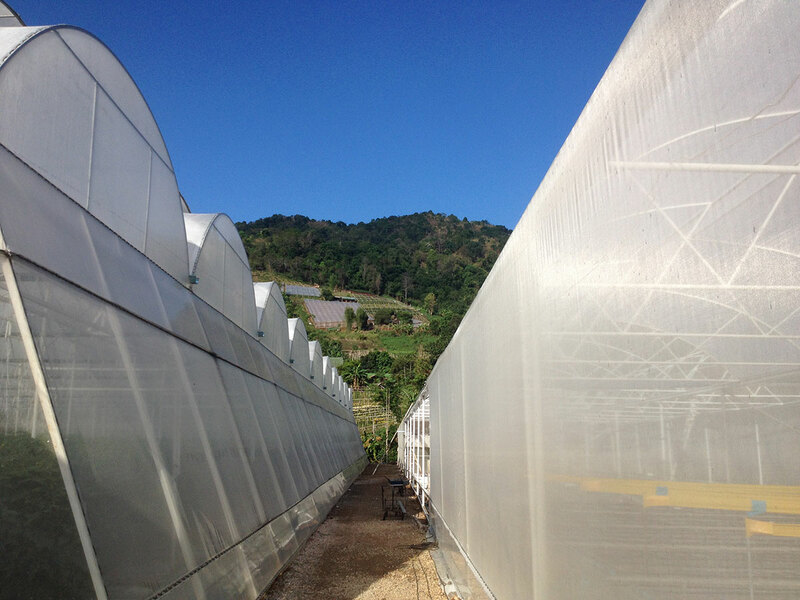 Also, besides this movement of the air, the ‘Alma Greenhouse’ is a lot taller then the conventional tropical greenhouses, which results in a huge buffer of air above the crop. This buffer of air does not react immediately at sudden weather changes, but adjusts more gradually. It takes a lot longer before this buffer of air changes in temperature or humidity, which results in a more even and gradual change of climate through the day. It is a far more desirable and comfortable climate for the plants. 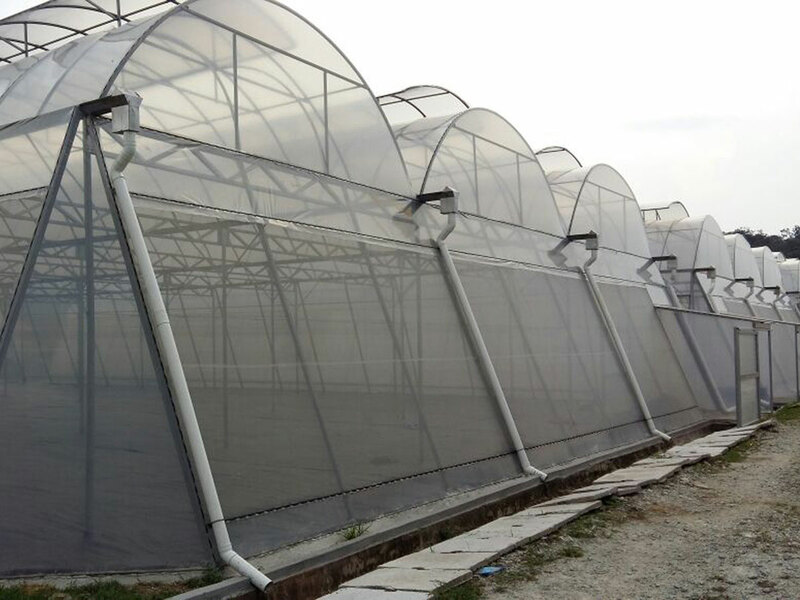 The plants are able to transpire better, which contributes to the perfect climate. This is a progressive effect! With a full grown crop, it is like stepping into an air-conditioned room. 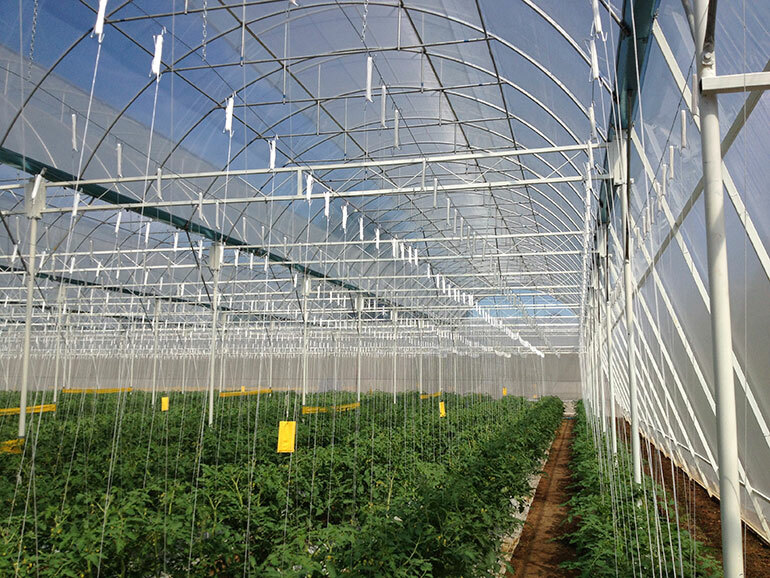 Yet another big advantage of the ‘Alma Greenhouse’, is that it is 100% closed with insect netting on the sides and also in the ventilation on top. Because of this, infestations of insects have less chance, resulting in less reason for chemical control, less virus problems, less plant loss, etc. Because of the slightly tilted sides, the structure can withstand strong wind conditions even with its total height, which exceeds 6.3 meters. Galvanized gutter-ends and PVC piping. 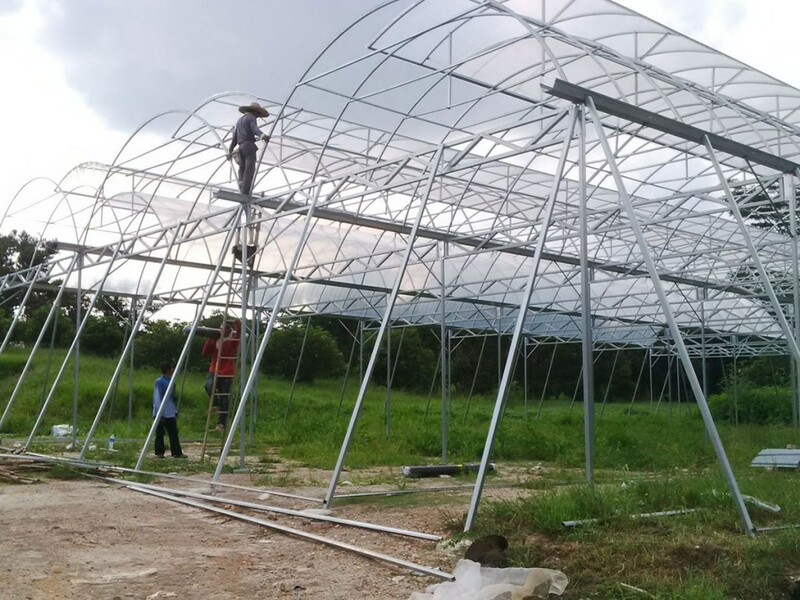 Please contact us for a price quote on the ‘Alma Greenhouse’ for your farm.